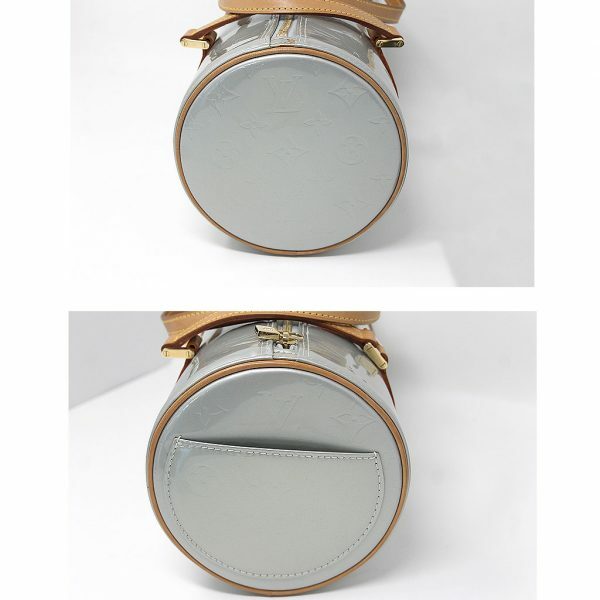 Condition This Authentic Louis Vuitton Bedford Vernis Silver Papillon Handbag in dust bag is in great condition! Comes with original dust bag! 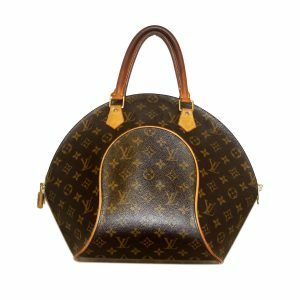 If you’re a collector of Louis Vuitton handbags, this is one you must add to your collection! 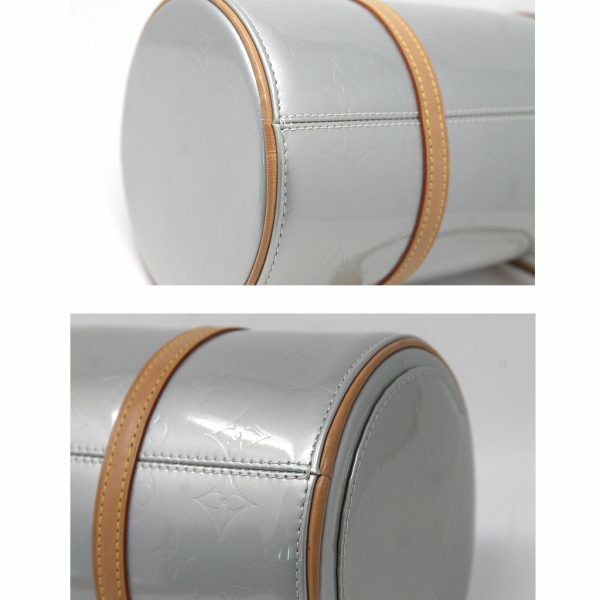 The silver monogram patent leather exterior is in excellent condition. 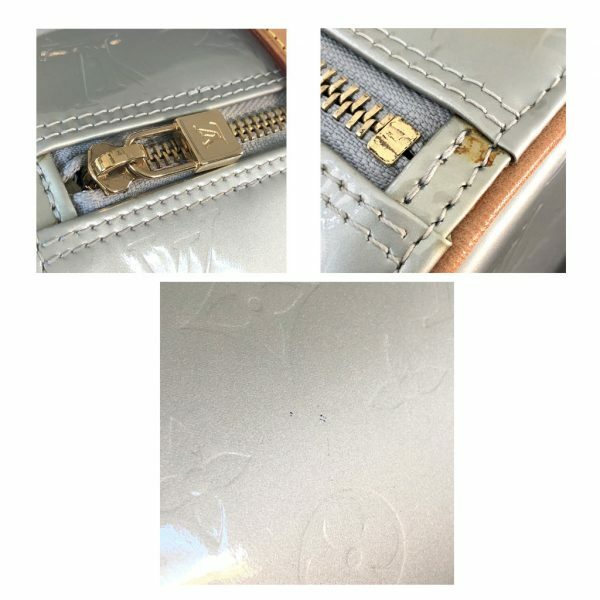 There is one visible small pen mark on the front of the purse which you can see in the pictures listed. 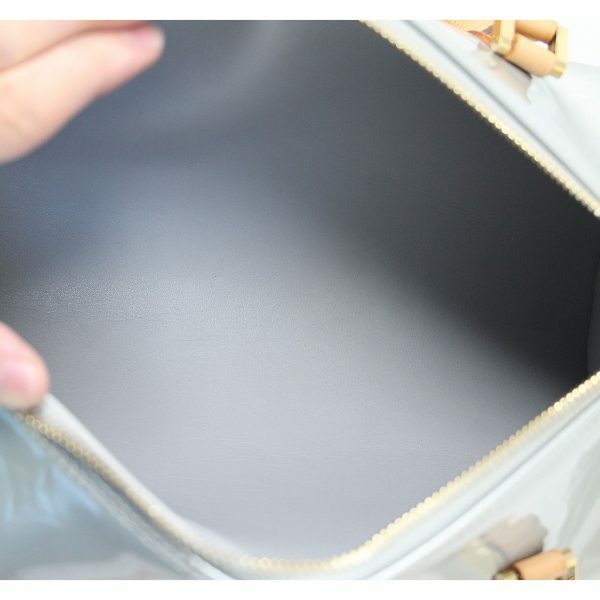 There is also one visible stain on the top of the purse near the end of the zipper, which can be seen in the picture listed. 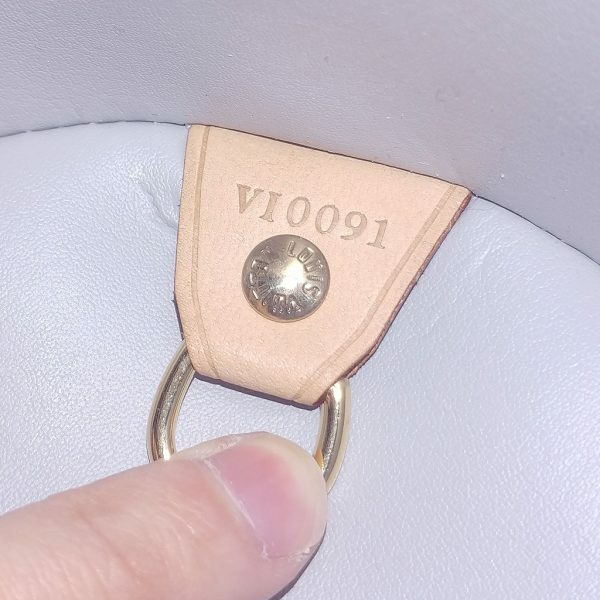 There are no visible scuff marks on the exterior of this purse. The cowhide leather piping is in great condition with no darkening of the leather. 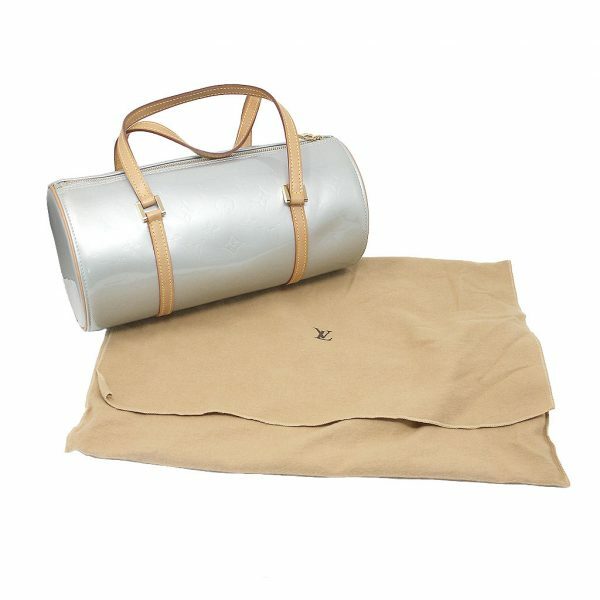 The cowhide leather shoulder straps are also in excellent condition with no visible stains. 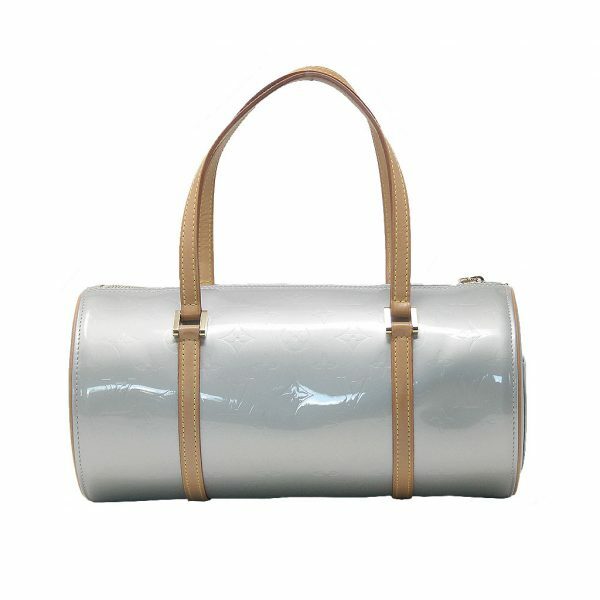 There is faint darkening of the handles where you would hold the purse, but this is natural. The straps have a drop of 7 inches. 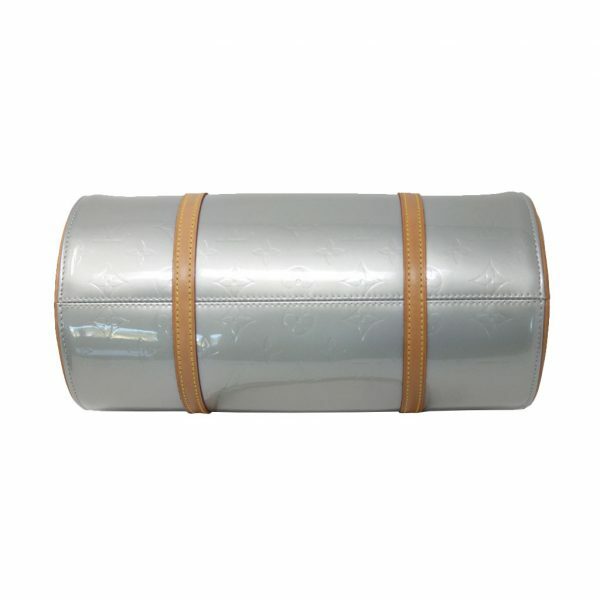 There is one small side pocket on the exterior of this purse which is in excellent condition. 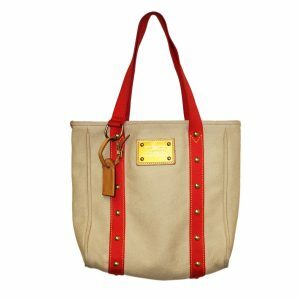 There are no stains, scuff marks or imperfections on the bottom of this purse. 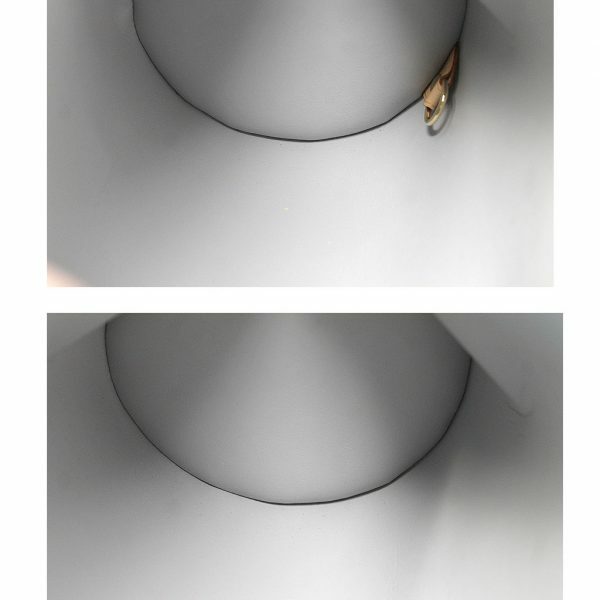 The top golden brass zipper with padlock zipper pull works properly and opens to the silver man-made interior lining. The golden brass hardware is in great condition but does show minor tarnish. There are no visible imperfections within the interior. The silver lining is free of any make up stains, pen marks, rip or tears. 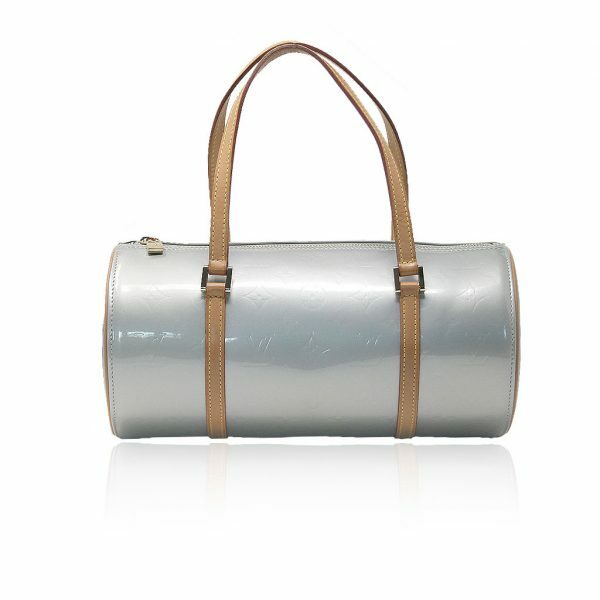 There are no foul odors within this purse. This is the perfect little purse for the fall/winter season. The beautiful silver monogram patent leather goes with just about everything. 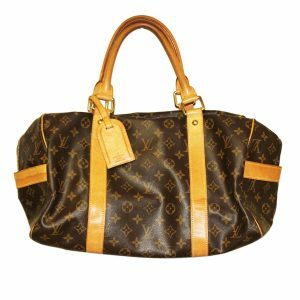 Buy this awesome, 100% authentic Louis Vuitton purse now or make us your best offer! Comes with original dust bag.